This home is currently under construction - estimated completion 4/19. Heller Homes is proud to present the &apos;Charlotte&apos; in the desirable Prairie Meadows addition. 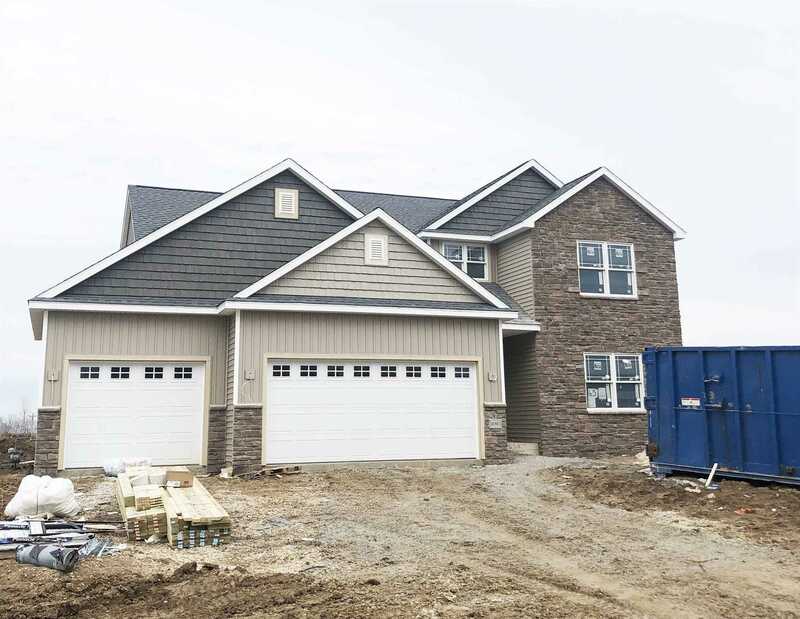 This BRAND NEW home features 2, 506 Square Feet of living space over a 1, 601 SF full daylight basement (unfinished) and finished 3-car garage on a large lot that backs up to undeveloped land. ** Granite Kitchen Counters ** Formal Den w/ French Doors ** 9&apos; Ceilings in Main level and Basement, 2-story Foyer and Great Room. ** Covered porch ** Timeless Stone & Vinyl facade. ** 14&apos;x12&apos; treated wood deck ** 1-YR & 10-YR New Home Warranties and Appliance Allowance included in price! **MAIN LEVEL: 9&apos; ceilings throughout main level. Two-story Foyer leads past staircase w/ wrought iron spindles into inviting 2-story Great Room w/ large windows and stone hearth fireplace. Open plan from Great Room to Nook and gourmet Kitchen (feat. abundant cabinetry, Granite tops, 8&apos; island with bar, walk-in-pantry). Built-in Lockers by garage. Spacious yet cozy Master w/ en-suite feat. Double Vanity, Tile 5&apos; Shower, enclosed toilet area. Huge Master Walk-In-Closet has a 2nd doorway right into Laundry Room! Formal Den w/ French Doors. **UPSTAIRS: 3 more beds up & 2nd Full Bath. Bed #2 is located on the other side of the house from Beds #3 and #4, separated by a gorgeous Catwalk overlooking the Foyer and Great Room below - perfect Office/Studio space! **BASEMENT: Full, daylight, unfinished, with 9&apos; ceilings, 10-YR guaranteed Watchdog waterproofing, Half Bath rough-in.